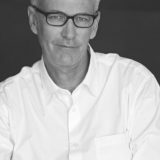 Frank Barkow is an educator, researcher and practicing architect educated at Montana State University and the Harvard Graduate School of Design. He has held teaching posts at, among others, the Architectural Association in London, Cornell University and Harvard University. Since 2016 he is Visiting Professor at the Princeton University School of Architecture. Barkow Leibinger’s interdisciplinary, discursive attitude allows their work to expand and respond to advancing knowledge and technology, locating the practice as an international leader in digital and analogue fabrication techniques. This know-how expands to include new materials and their applications. Their research folds into ongoing construction projects focusing on a „trickling down“ of these technologies informing the construction of everyday building types. Their work was recently shown at the 2nd Chicago Architecture Biennial 2017 and was included at the Venice Architecture Biennale 2008 and 2014. It is housed in the permanent collections of MoMA, New York, amongst others. They have won National AIA Honor Awards for Architecture, the prestigious Marcus Prize for Architecture and a Global Holcim Innovation Award for sustainability.